Last year I bought a set three of Tonic dies, I really only wanted the other two though. This die was one of those "Can't think that I'll ever use that" items. 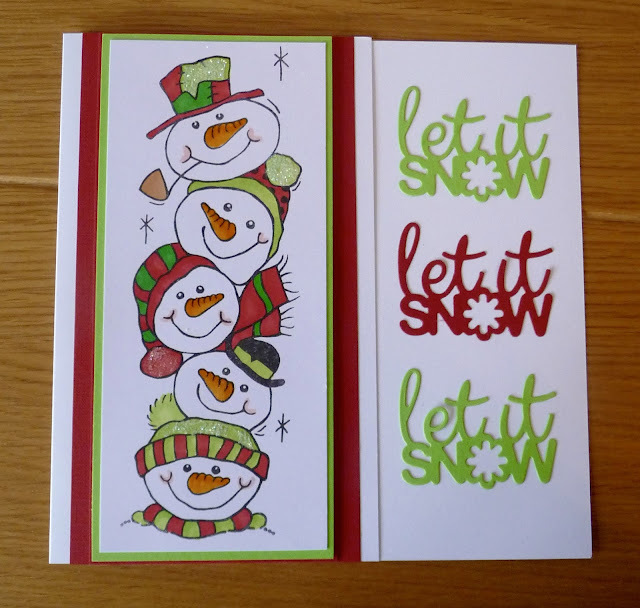 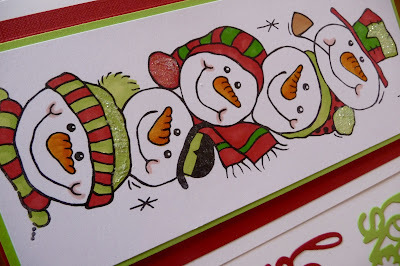 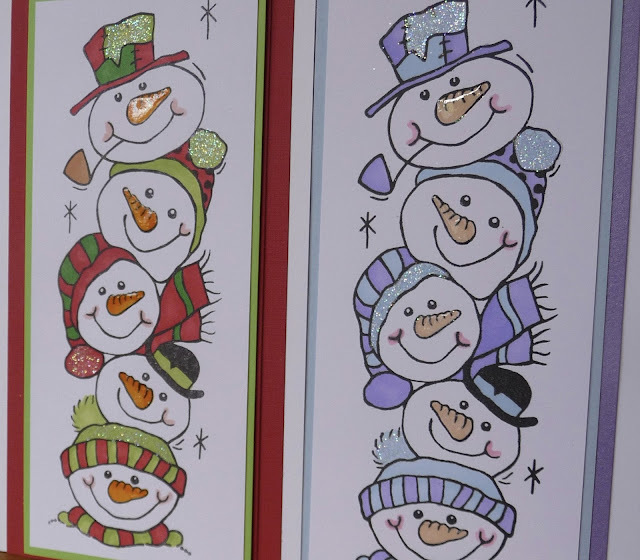 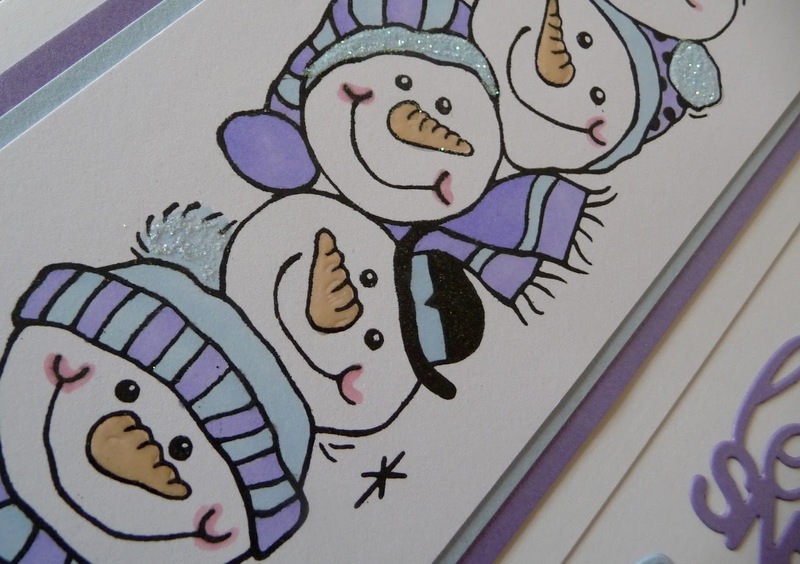 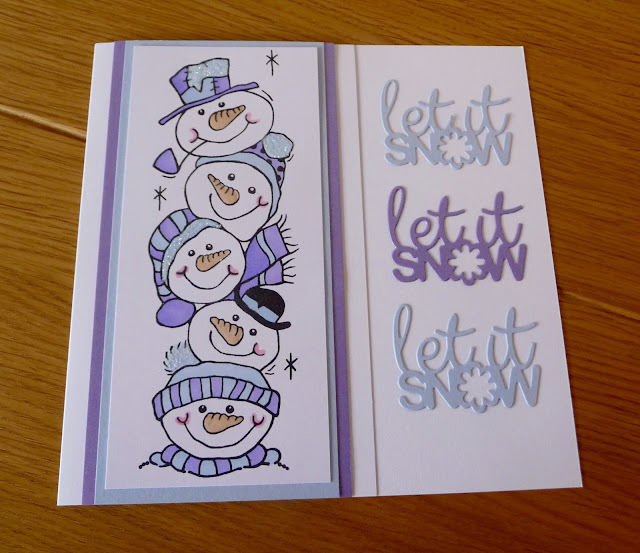 Recently I bought the snowmen stamp, not realising in the shop just how long it is, and actually struggled to find an acrylic block that it would fit on. 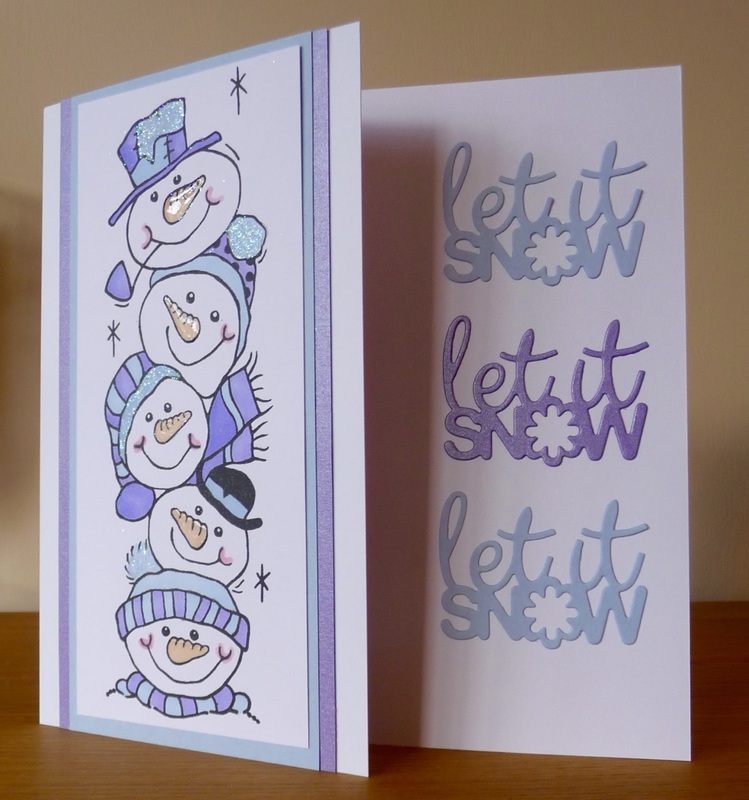 I cut the right hand side off an 8 inch card blank, using the off-cut to stamp on. 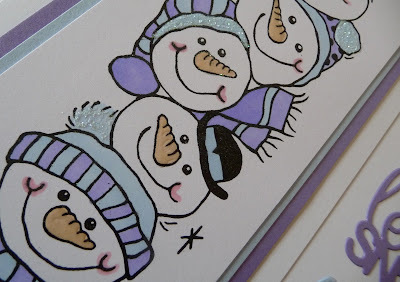 I tried it in the two colour ways, adding Glossy Accents and glitter to both.